No, I am not talking about the new FUNimation logo. Though that needs more eyes too. What I want to talk about are the hidden gems of 2015. So this week’s question is: which shows of 2015 need to be watched by more people? For me the answer to this question would have to be Etotama, a show from Spring of 2015 that, at least according to MAL, ranked 26th for its season and 96th for the year in terms of the number of people that watched it. This is far too low. 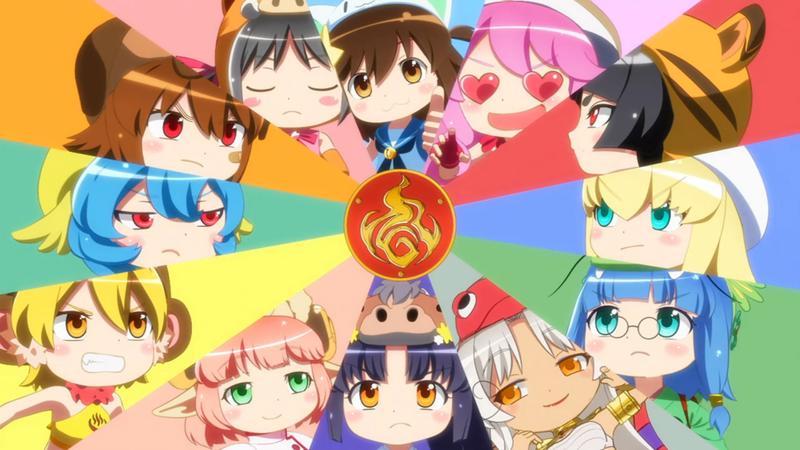 Etotama may have some issues that turn away potential viewers in the early part of its single cour, but overall it was a fantastic, hilarious, meta, self-aware action-comedy that deserved more attention than it got. If you like over-the-top fights, great 3D animation and a ridiculously entertaining cast, you could do a lot worse.